Shady Spring Farm is located 4 miles south of McConnellsburg, the county seat of Fulton County, in South-central Pennsylvania. Fulton County remains a rural area of beautiful rolling mountains and fertile valleys with over 50,000 acres of State Forest land within its boundaries. Outdoor and family activities popular within the county are hiking, camping, boating, cycling, hunting, fishing, swimming, golfing and hang-gliding. 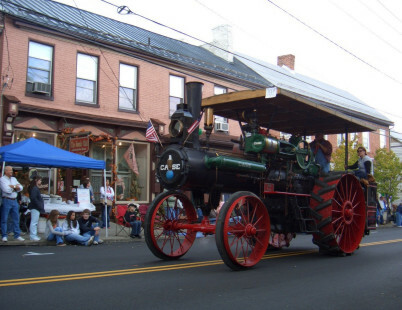 Other popular pastimes include antique shopping, flea markets and auctions. 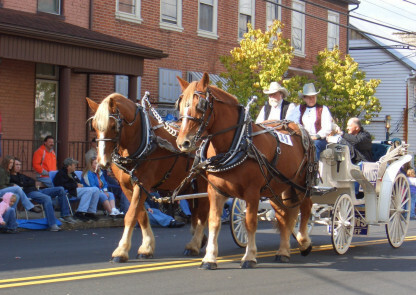 The county hosts several festivals each year, with the Fulton Folk Fall Festival attracting thousands of visitors to enjoy the fall foliage, a carnival, parade and traditional demonstrations such as threshing, steam tractor pulls, and the making of cedar shingles. Please take a look at the local area attractions, activities, and shopping pages.